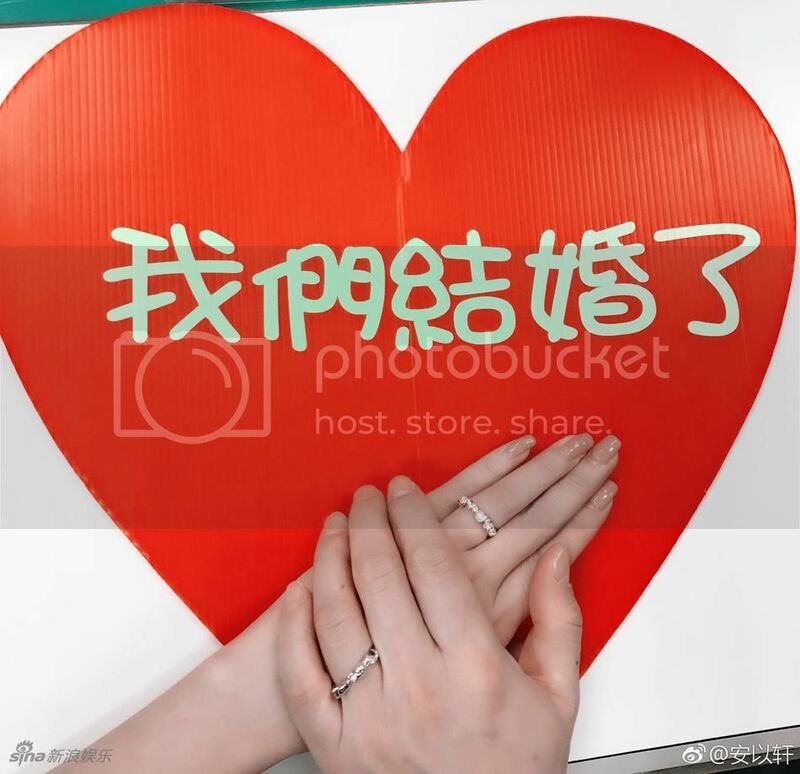 Today Ady An revealed her marriage to Chen Ronglian. Back in October of 2016, she revealed in an interview that she was given a precious stone for her birthday. She didn’t elaborate and now we know it was a diamond ring. Congratulations! 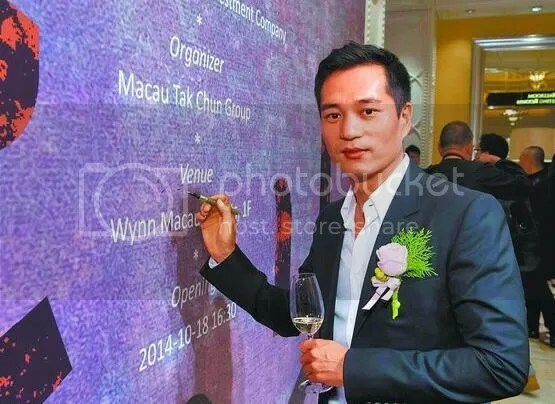 Chen Ronglian is the president of Macau Dejin Group. It is reported he put a lot of effort in pursuing her and that he would adjust his schedule to hers. After a year and a half, they finally started dating in 2014. It sounds like a modern romance drama. They look so happy. I wish them the best! Of course Hu Ge is trending again. The forever bachelor is seeing another couple getting married. I feel bad that every time a friend announces their relationship everyone just goes to Hu Ge’s Weibo to leave their condolences. 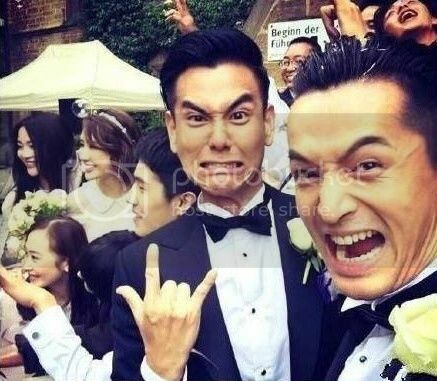 At least, Eddie Peng is still single so he is not the only one. She looks so happy and pretty! I saw her in a t-drama with mike he and although not the best actresss, she has a likeable vibe (kinda like Joe Chen). Hopefully ZLY finds her happiness too!! lol I know HuGe has the whole country thinking about his bachelor status. I am hoping the same for ZLY. I think she will have more time now that she is not working as much. 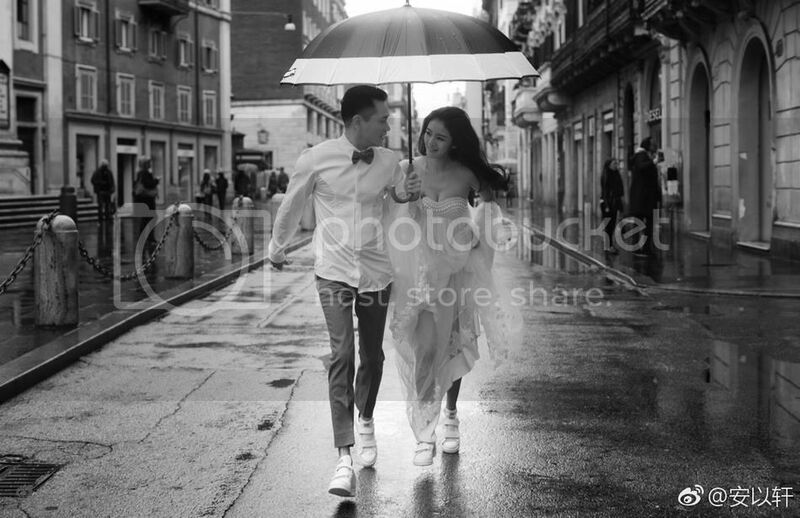 The pictures are lovely. She looks incredible in that sequinned dress. Wow! OMG she is still gorgeous! 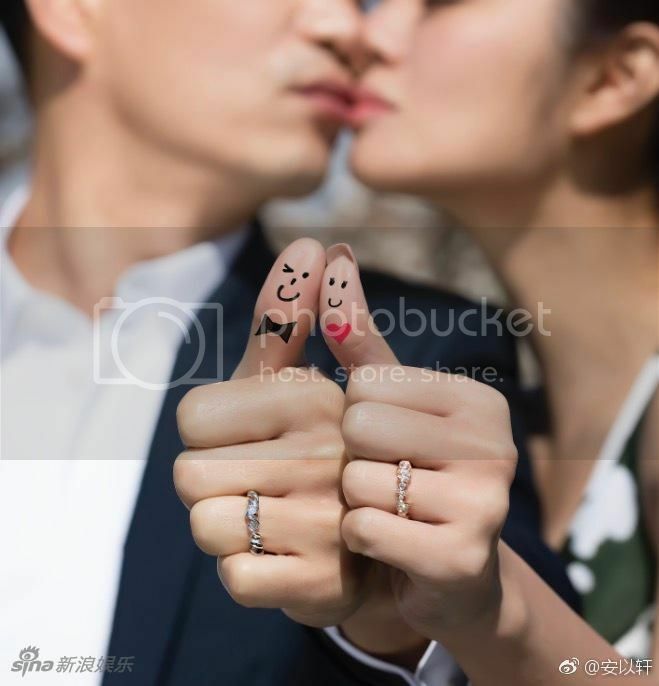 Liu Yifei seems serious with her boyfriend. I think they will probably tie the knot too. I feel bad that Eddie Peng and HuGe always get this treatment when news come out but it always cracks me up. Ady An looks super pretty and happy. Omg!!!! Super happy for her! They look so sweet together! Lol at HuGe. Maybe he’ll find someone abroad without the media hovering over his life. I hope it serves as a good break for HuGe. And think of how many years she posed as a woman named Margret W. Goh on Facebook.